Keep the lights on when it matters most. 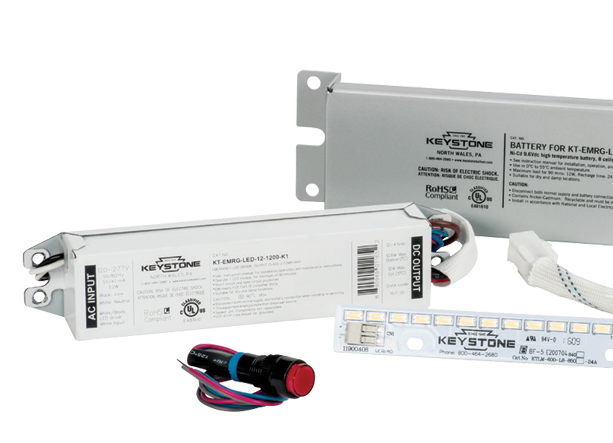 Keystone offers dependable emergency battery backup solutions for virtually every LED lighting application with our Smart Safe and Smart Safe AC offerings. With options tailored for both new LED fixture constructions and field installation applications, Keystone has your emergency lighting system needs covered. Keystone’s Smart Safe offerings are designed around 5W and 12W constant power platforms, with a variety of form factors including remote battery options and one piece integrated battery designs. Keystone’s emergency LED battery backup solutions have options designed to fit almost all commercial fixture types, including linear indoor fixtures, high bay fixtures, and recessed downlight fixtures. 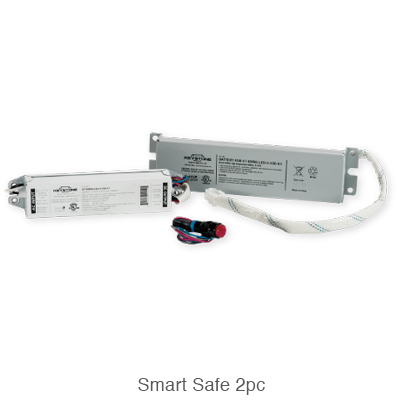 Choose Smart Safe for LED fixtures with Class 2 LED drivers where the LED modules and wiring are accessible. 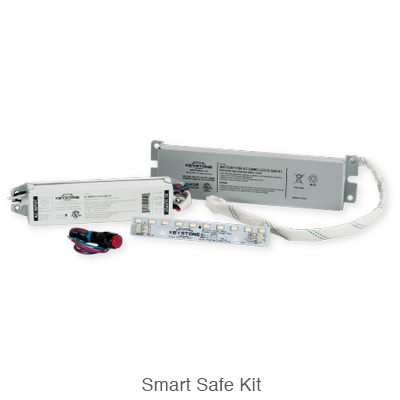 Our Smart Safe kits include a separate LED module to be added to a fixture for emergency mode illumination, which is ideal for retrofit applications. 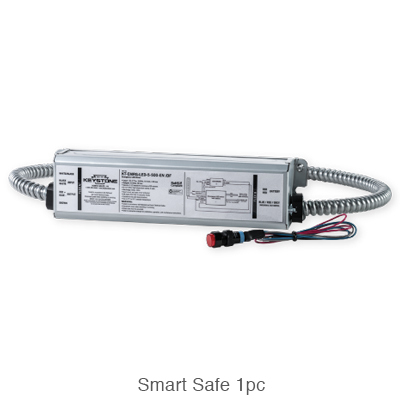 Smart Safe AC is optimized for UL Type B LED tubes, and completely integrated LED products where only the input wires of the power supply are accessible. Optimized for Keystone single-ended DirectDrive LED tubes. Optimized for recessed LED downlight fixtures and retrofit kits, and Keystone DirectDrive compact lamps. Enables emergency lighting solutions to be utilized in a variety of lighting fixtures including both LED and fluorescent. Field installable solution for use in many fixture types; can also be mounted remotely. Features rechargeable LiFePO4 battery technology and complies with CEC T20 efficiency requirements.